THERMAL INSULATION SYSTEM: Thicker thermal walls create a fully insulated bag so that food and drinks can be kept cool or warm for several hours. 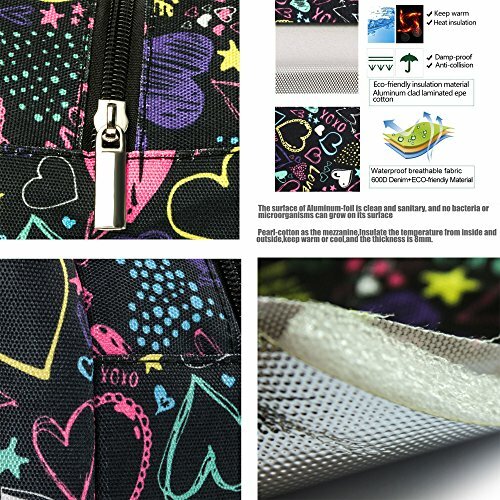 QUALITY MATERIAL: The cooler bag is made of three layers -- polyester and spandex, aluminum clad laminated and expandable polyethylene(EPE), which make it insulated, durable and lightweight. 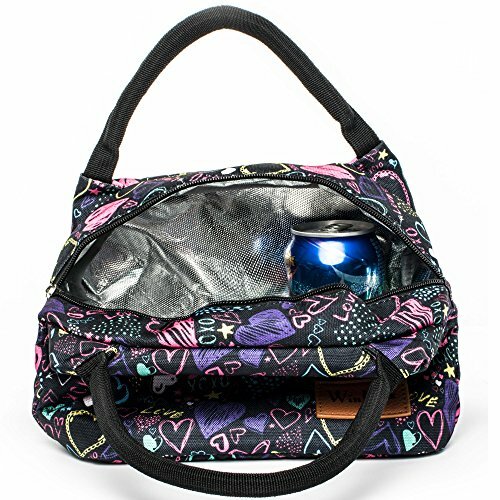 EASY TO CARRY: Portable and lightweight with handle, convenient to carry and hold. Besides, it's easy to folds flat to storage. 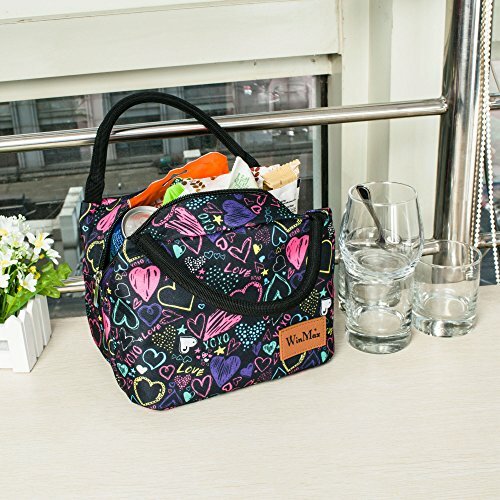 Great to have an lunch tote bag to carry a few lunch items, then can be folded down and fit away into your normal bag - no more carrying around a bulky empty lunch `bag after lunch! 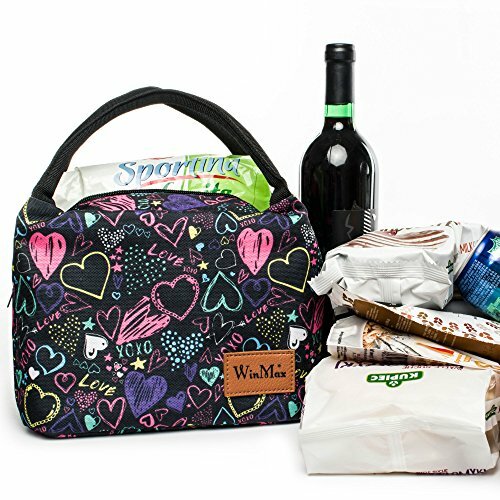 Ideal for travel, picnic, school or office use as a lunchbox bag. 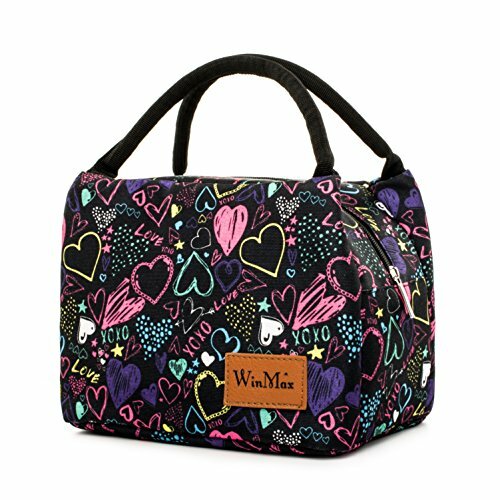 FASHIONABLE AND PRACTICAL: Bright color and novel style will catch the eyes. The perfect size offers enough room to store things one person needs. 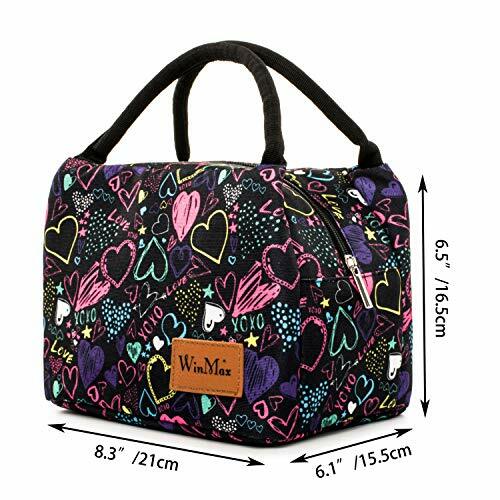 Such as water, sandwiches, fruit and snack for work and school. 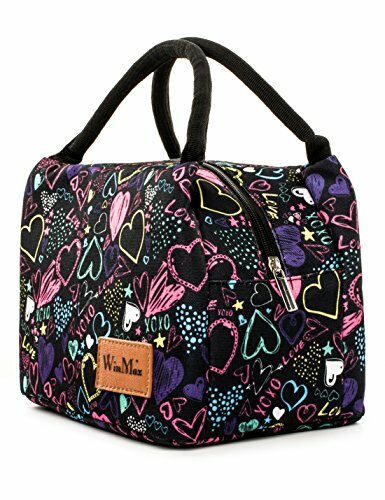 And opening zipper is convenient for you to put lunch or snack. MULTIFUNCTIONAL: It can be used as lunch bag or shopping bag (heat preservation, cooler bag, fresh function, going to the supermarket, can be used to pack frozen food, hot pot dishes, frozen drinks, ice cream, dairy products, etc.) The small lunch bag suits the need of both summer and winter.